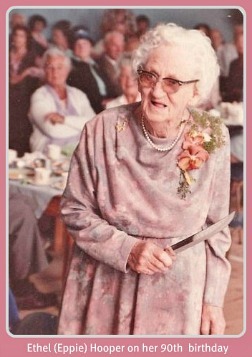 Fondly known as Eppie, Ethel Florence Hooper was one of early Sedgefield’s most charismatic characters! She was born Ethel Florence Morris on 21 March 1892 in Oudtshoorn, the eldest of six children. Dr Herbert Smith brought her into the world. He was father of the famous South African novelist, Pauline Smith, best known for her works of realistic fiction amongst them being “The Little Karoo” published in 1925 and “The Beadle” published in 1926. Pauline and Eppie grew up together and were friends. When Eppie was 15 or 16 years old she lived with her father at Blanco near George and would travel by coach up the Montagu Pass twice a year to go to school in Oudtshoorn. The one time, the road was busy during the day because the railway line was being built so the coach traveled the dangerous road at night. This night, stones rattled down on the road causing the horses to panic and they bolted. The two leading horses went over the parapet and the quick thinking coachman threw the young girl the reins to hold steady as he rushed forward to calm the leaders and draw them back onto the road. 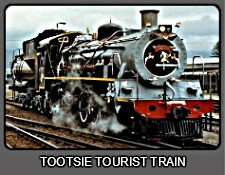 Afterwards he noticed that a troop of baboons had hurled rocks at the moving coach causing the horses to take fright. Eppie meanwhile, took it all in her stride! Ethel was very clever and in her early 20’s went to Mowbray to train as a teacher and then spent a year at Rhodes University in Grahamstown. She taught for some years in Robertson and Cape Town. She was also fearless and always ready for adventure. 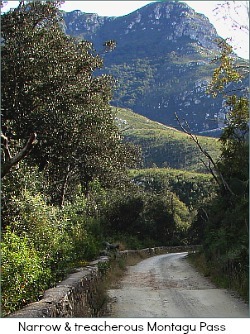 On one occasion, she made a trip with two other women, through the Langkloof by ox-wagon coming down the Prince Alfred Pass into Knysna. 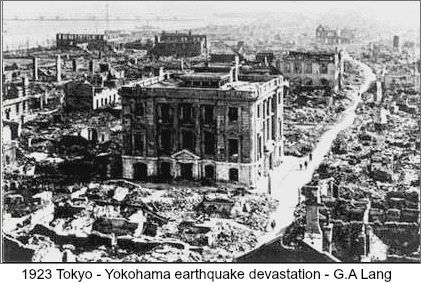 In 1923 at age 31 she went on holiday to Japan and on her return she found she had missed the devastating Tokyo/Yokohama earthquake by 4 hours. The 7.9 quake resulted in the deaths of over 140 000 people and the destruction of many hundreds of thousands of homes and buildings. 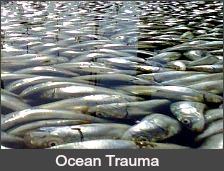 A tsunami caused by the quake effected further destruction and death. All the same, 2 years later, throwing caution to the wind Ethel joined a friend already in China to teach at an international girls’ school in Shanghai for 6 and a half years. 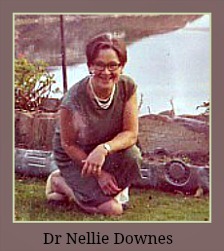 In 1931 she returned to South Africa accepting teaching posts in Grahamstown and then Cape Town. The young woman renewed her acquaintance with Humphrey Cecil Hooper at a Johannesburg Exhibition in 1936. Humphrey was related to the Hoopers of the famous Highgate Ostrich Farm in Oudtshoorn. It was in the Hooper family for 3 generations starting in the 1800's and is the oldest, most famous ostrich farm in the world. Humphrey married Eppie in 1942. 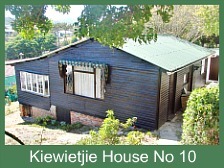 He had started an estate business in Adderley Street, Cape Town and after a while he persuaded his wife to join him. She took to it like a duck to water, thriving in the environment from the beginning because she loved people – even the difficult ones. 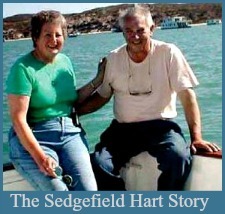 The couple retired to Sedgefield in 1952 where they had a large piece of Groenvlei property bordering on Lake Pleasant. 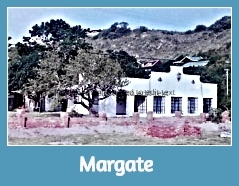 Humphrey had inherited a portion of Lot C on the Groenvlei, where he was born on 25 August 1885, from his parents, James and Lulu. 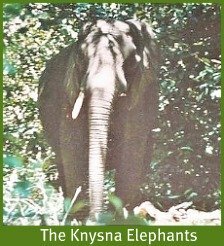 He loved watching the lake and the buck from the hillside above their house and regularly removed snares to protect the wildlife. 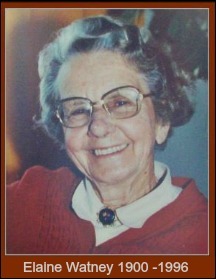 Eppie was kindhearted and generous spirited. She loved animals as much as she loved people and many a stray dog found a home at the Hooper hamlet. Her own dog was a giant Ridgeback cross called Roddy. 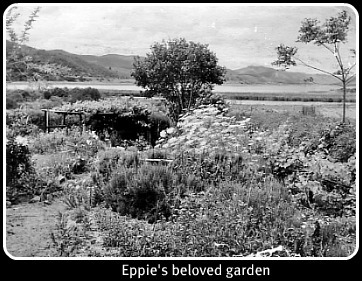 Eppie had green fingers and her garden was her pride and joy, in particular a rose garden that she was deservedly proud of for it was no mean feat to grow roses successfully in Sedgefield’s humid environment. 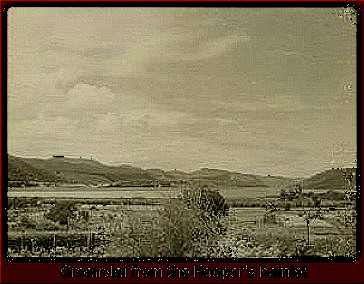 Humphrey died in Knysna hospital on 29 May, 1961 and was buried in the Sedgefield Municipal Cemetery. In 1962 Eppie sold her property to Rory Hennessy, Briony and Stuart Lidstone's grandfather). She continued to live on a five hectare servitude in a funny quaint cottage (Humphrey had built when they had first arrived) with a few irregular features like a lean-to kitchen. In 1962 at the age of 70, the indomitable Eppie opened up her own estate agency in Sedgefield. She made a great success of it because of her genuine interest in people and her charismatic character. She knew every plot and house for sale and even if it was on the Island she would dodge every mole hole to get a client to the right spot. Well loved and appreciated in the village, people fondly tolerated her eccentricities as she grew older. Whilst she walked with an energetic power walk, she was a horrendous driver. 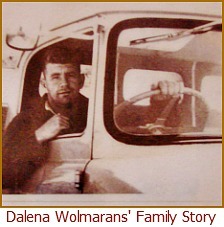 Once behind the wheel of her car, a green VW station wagon, she drove at a 40kph snail’s pace. Long queues of very impatient holidaymakers crawled along behind her in holiday season. 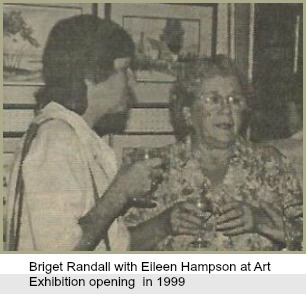 Joyce Hampson remembers that her mother, Eileen was always a nervous passenger. One night returning from George with Eppie after a music concert they had attended together, it was pitch dark along the road. Round about Wilderness, Eppie commented that they seemed to be slowing down for some reason or they could be running out of petrol. After a tense few minutes it turned out they were merely going up a hill! At times Eppie managed to park her car sideways in her double garage and then needed someone to rescue the vehicle as she was not able to reverse it out herself. On occasion she would forget to engage the handbrake when parking and used to have the ajar driver’s door removed by the telephone pole when the car rolled backwards. Then there are many stories about Eppie’s teeth. In 1940 she had been involved in a bad accident and suffered some serious facial injuries. As a result she had false teeth that she often misplaced. Unable to locate them before going to a meeting in Knysna one day, her friend Tim Balchin advised her “Let me do the talking.” She later found them in the fridge! She frequently put down her handbag in inappropriate places like on the trip switch of the electrical box in the kitchen and not on the nearby clothes peg. She would then phone Roger Lidstone, Briony’s dad, for help when the light switch didn’t turn the light on. She also loved her Scotch and could hold it – Roger would often comment that she had hollow legs! 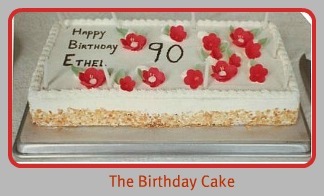 On Eppie's 90th birthday in March 1982 she was given the Freedom of Sedgefield. Most of the villagers as well as a number of visitors gathered in the Town Hall for the 90th birthday party of their eldest and best known resident, Mrs Ethel Florence Hooper. Also attending this great occasion was her godson Mr John Foster who was a prominent physician in George. Nobody enjoyed the party more than the birthday girl! 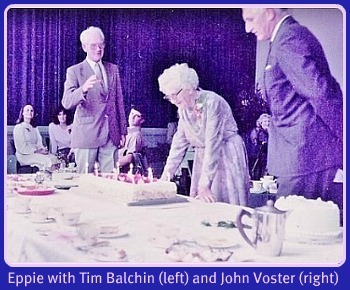 Brenda Balchin serenaded her with adapted songs like "Hello Dolly (Eppie)" and "We’ve grown accustomed to her Face". Brenda and Tim Balchin, Mary Scorer and Elaine Watney acted out an impromptu side-splitting "three-act play" of an incident that occurred when Eppie was an estate agent. And of course there was a lovely spread of tea and cakes. The highlight of the afternoon was when another godson, Sir John Killick, (who had been the British Ambassador to Russia and who then lived in Wilderness) proposed a toast to her and read out a befitting poem he had composed himself cleverly based on Longfellow’s poem "Hiawatha". One and all think she’s just super. Waxed and waned again above us. In Velskoendorp – to you, Oudtshooring! Cornflower-blue and full of laughter. Never rain to green the country. Life was hard – so, off to China. Marco Polo was her lodestar. From us Western round - eyed peoples. Chou-en-Lai were her best pupils! And the things that still befall her. All those friends who’d like to enter. Down in Cape Town’s Good Hope Centre! Kom – van almal – hier’s ‘n soentjie. Eppie was also told that she was allowed to drive on either side of the road as she had been doing just that for many years. In later years, when she could no longer walk her beloved dogs, that presented no problem for Eppie. She just got into her car and drove slowly down the road so they could run along behind it. One time she had everyone around her car in town looking for her small dog, Bambi she had taken to the shops with her because she believed it had jumped out of the car. Eventually when the dog could not be found and she went home, she found it there. It hadn’t gone with her to begin with! 2 years before her death, while still running her estate agency - she trustingly signed a stack of papers given her by her supposed right-hand employee, without looking through them. The employee never turned up for work thereafter. The next month Eppie was kicked out of the building and business by the new owner who turned out to be her former employee. It is believed by some who knew her, that the shock and humiliation caused her dementia and she died a little over a year later on 27 July 1983. She died in her bath where she habitually fell asleep and was found in the morning by her maid. Most of her friends and relatives were unaware of the true circumstances surrounding her sudden retirement. She bravely let it be known that she was happy to retire and was looking forward to being able to devote herself to her beloved garden. The block in which Eppie ran her business is still called the E.F. Hooper Centre. She will long be remembered for her love of life, her notorious escapades, her joyous nature and generous spirit. She lived life to the full and was a delight to those who knew and loved her. Eppie and Humphrey shared a common ancestry as they were both descendants of the Meedings. Notes from the late Wynne Humphries and pictures on this page. Liz Bronner for documents relating to her mother, Ensle Syphus’s research of Sedgefield's history. Gillian Carter – Outeniqualander Newspaper 29 July 1983 – death announcement. I stumbled on your article about Mrs Hooper on your website, which was such a wonderful read. 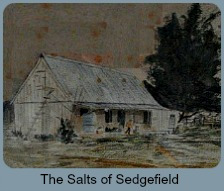 My Mom & Dad (Terry & Janet Longman) moved to Sedgefield in the 70's, obviously taking my brother and me with them. My Dad worked with a chap called Clive Howard-Williams on Swartvlei lake as part of a 3-year study on reed growth, sponsored by Rhodes university. 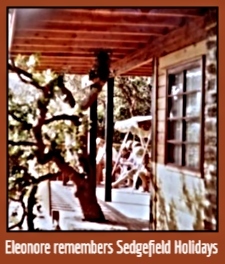 Our family was so sad when we had to leave Sedgefield, and although I was probably only 5 years old at the time, it took us so long to get used to Cape Town. Mrs Hooper was a great friend of my parents. I remember spending Christmas with Mrs Hooper in 1979 / 1980 - she was such a special lady, and such an integral part of the character of Sedgefield at the time. Mrs Hooper sort of embodies all those wonderful nostalgic recollections, and it was so great to read your wonderful article about her. 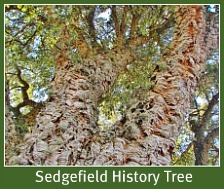 The history section on the Sedgefield website is really great, now that I have explored a bit further (and will continue to read when I have time). And the photos are just great. Profit taking, the bottom line? The earth's natural and unrenewable resources. 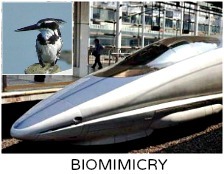 Our wildlife, forests, air, rivers, oceans. Too much talking, too little done! Too much war-talk, too few peacemakers. Too little involvement, commitment, consideration. Too much entitlement, too little hard work. Be a leader, not a follower an example not a dictator? To prevent our annihilation, ensure our survival. Will we though, will we? Is it always someone else's problem? Really? Or is it just ALL too much to bother about? One person doesn’t have to do it all. Do one small thing to help a person or animal or the environment. One loving thing to help our world. See that one small thing make a huge difference to your life. All those collective small things may give our planet a chance to recover.